Northam, WA, Fly-In. What a great day! The Northam fly-in on Saturday 24th March was a great day. The event was hosted by Northam SAAA / Hangar Owners. Congratulations and thanks to Kim Lawrence, Greg McFarlane and all those who so generously helped pull this together and provide the venue and delicious food! 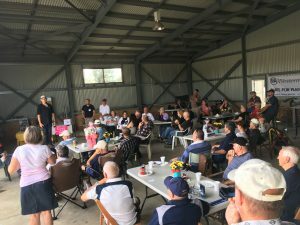 This was an “All aviators under one sky event” and is was terrific to see aviators and their guests flying in from Albany, Denmark, Bunbury, Serpentine, Jandakot and other destinations. There were just over 40 aircraft and 100 visitors in attendance with representation from SAAA, AOPA, RAAus and Lobo Oz. Well done everyone! This is the spirit of general aviation at work. Looking forward to next year, and many other events like this.